The Ibrahim Leadership Fellowships form a selective programme designed to identify and prepare outstanding African leaders by providing them with critical experience at the highest levels of multilateral organisations. Created in partnership with three of the world’s most influential organisations, the Fellowships will provide selected candidates with the opportunity to work directly in the executive offices of the African Development Bank (Abidjan), the UN Economic Commission for Africa (Addis Ababa) or the International Trade Centre (Geneva). Through this annual fellowship programme, the Mo Foundation seeks to deepen and broaden its growing network which continues to contribute its skills and learning to a better Africa. The application process for the 2017 Ibrahim Leadership Fellowships Programme is now open. any additional criteria as set by the host. There may also be additional eligibility criteria set by the individual hosts. If this is the case, prospective fellows must satisfy any additional criteria as set by the host to be eligible. Any field related to governance and leadership development including: Economics, Engineering, Social Sciences, International Development, Business Administration, Finance, Banking or any other relevant disciplines. It is important to visit the official website (link to it is below) to download the Fellowship Information and How To Apply documents for these fellowships to have complete information on how to apply. The application process opens on 12 August 2016. The final deadline for submission of applications is 14 October 2016. However, note that the deadline may be earlier and vary with any of the institutions. Kindly confirm each institution's deadline for application. Successful candidate to be notified January 2017. 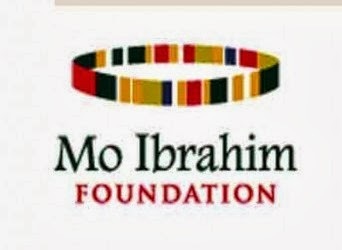 Established in 2010, the Ibrahim Leadership Fellowship Programme is a selective Fellowship that prepares the next generation of outstanding African leaders by providing them with unique work opportunities at the most senior level of prominent African institutions or multilateral organizations, whose mandate is to improve the economic and social prospects of Africa. The Mo Ibrahim Foundation, which invests in governance and leadership to catalyse Africa’s transformation, finances the Ibrahim Leadership Fellowships.